This is the last weekend to take a ride on the Live Steamers Ghost Train. 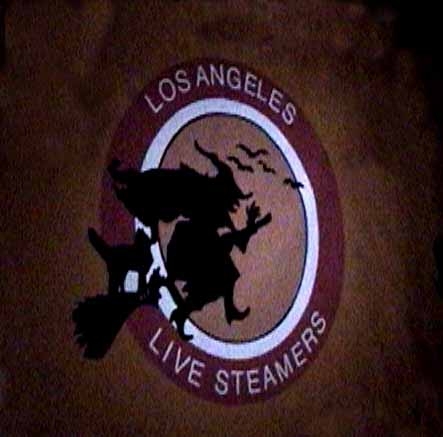 The Los Angeles Live Steamers have been entertaining kids with this Halloween ride since 2001. There is free parking and the suggested donation is $7 with rides taking place through October 31 from 7- 10pm nightly. The Los Angeles Live Steamers are located at 6303 Zoo Drive in Griffith Park. The organization, supported by train enthusiasts, is a non-profit corporation that has been running their 7 1/2-inch gauge model trains on the north side of Griffith Park for over 50 years. The public is welcome to ride every Sunday for a suggested donation of $3. Normally, the ride takes about 10 minutes. For Halloween, the ride is slowed down so passengers can enjoy all of the scenes and animations and runs 20-25 minutes. The train's path is decorated with a series 30 spooky scenes and is lots of fun for kids and adults alike. The steamers bring back favorites from prior years and add new things as well. Some of the animations include, Alien invasion, Insane Asylum, Creepy Clowns, Giant Spiders, and some pretty neat lighting effects. Though the ride is idea for kids, riders must be 34 inches tall and accompanied by an adult if they are under age 15. Don't worry that the ride will be too scary for your children. It's more spooky than scary with lots of colorful lights, skeletons, spiders and displays. Stop by and check it out and I'll be you'll come back year after year. Here's a video from last year's Ghost Train.